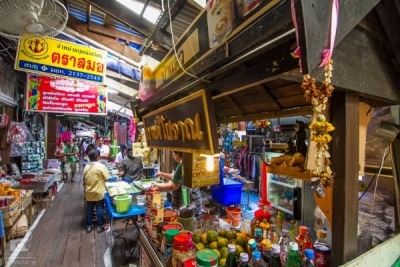 For hundreds of years, the river markets in Bangkok served as a vital hub of trading between Thai farmers and city-dwellers. 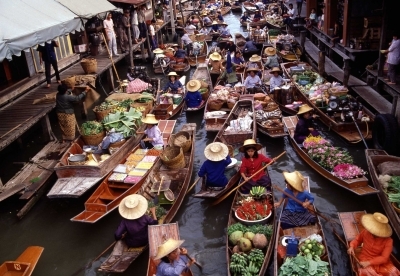 Today, Bangkok’s floating markets have retained their vibrancy and are one of the top tourist draws in Thailand. 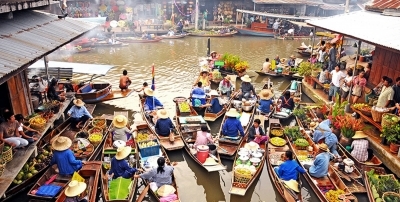 For first-time visitors to Bangkok, it’s often difficult to choose which floating market is the “best” to visit. 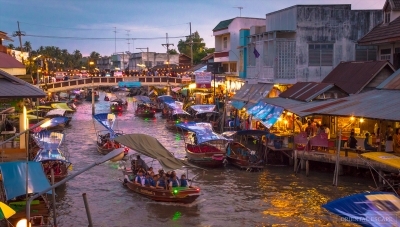 In this article, we’ll go through six of the most popular floating markets in the Thai capital to help you decide where to go on your vacation. First on our list of Bangkok floating markets is the Taling Chan Floating Market in Thonburi. About a 30-minute drive from the center of Bangkok, Taling Chan is best-known for its wide-variety of fresh seafood cuisine. Besides eating great Thai seafood dishes, many tourists love to purchase a bag of fish food to throw it to the local catfish swimming all around this market. Note, Taling Chan is a smaller floating market with less tourist traffic, so it’s a great idea to visit here if you want a more subdued floating market experience. You can visit this market between 7AM and 4PM every weekend. One of the closest floating markets to central Bangkok is the Bang Nam Pheung Floating Market, just 13 miles east of Bangkok’s city center. In this small and less developed floating market, tourists have an opportunity to check out authentic Bangkok rustic life. 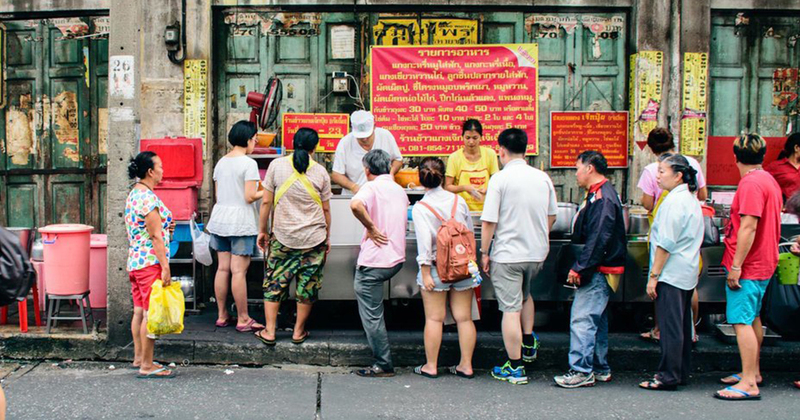 There are plenty of food stands selling traditional Thai treats and meals, so anyone who’s into street food won’t be disappointed here. Just be forewarned, there are usually only six boat vendors at Bang Nam Pheung and there are no cruises available. While Bang Nam Pheung is situated in eastern Bangkok, the only way to get here is via taxi. The market is actually on a green area known as Phra Pradaeng where there isn’t as much infrastructure. This market is usually open between 8AM to 2PM on Fridays, Saturdays, and Sundays. If you want to visit a market adored by locals, look no further than the Khlong Lat Mayom Floating Market. Only about 13 miles from Bangkok’s city center, Khlong Lat Mayom has an impressive shopping area that’s not as overly commercialized as other markets. 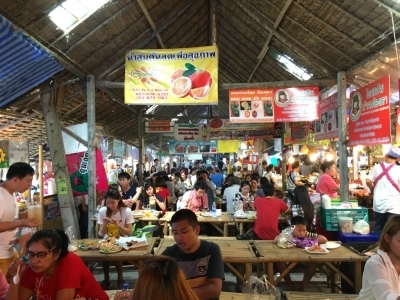 There are tons of cheap eats (especially grilled fish) at Khlong Lat Mayom as well as fascinating tropical fruits like sapodillas, pomelos, and chompoo. 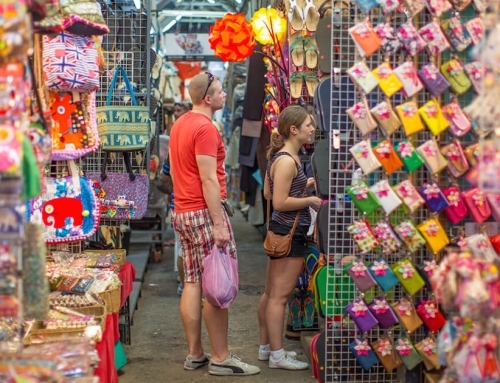 If you’re a foreigner, be prepared to stand out in the Khlong Lat Mayom crowd! Khlong Lat Mayom is a short taxi ride from the Wongwian Yai BTS Station. It’s a great idea to combine a visit of Khlong Lat Mayom with Taling Chan because they are located close to each other. Khlong Lat Moyom is open on weekends between 9:30AM and 4:30PM. Anyone looking for a big touristy floating market should check out Amphawa Floating Market, which is about 55 miles southwest of Bangkok. Although it’s a bit of a trek to get here, Amphawa rewards tourists with plenty of interesting wooden shops, lush scenery, delicious grilled seafood, and souvenir goods. Since Amphawa is so popular with tourists and locals, your taxi driver will most likely be able to drop you off and pick you up by the tourist boats for a flat fee. Another exciting thing to do in Amphawa is to take a longtail boat excursion around the local area. 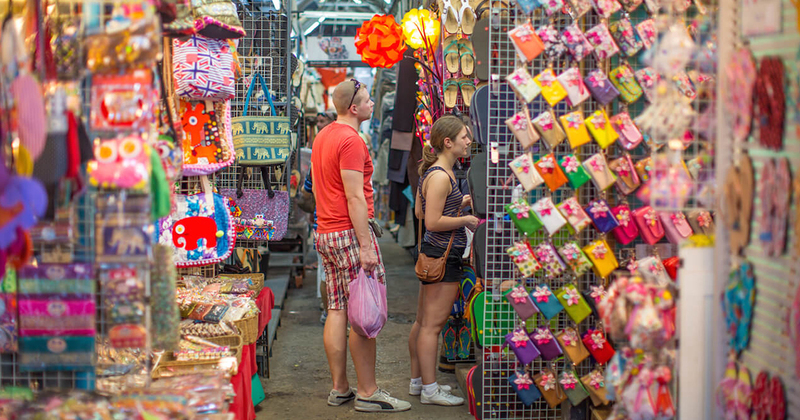 People looking for authentic Thai goods on their floating market excursion might not like the “touristy” items for sale at Amphawa, but this is still a very fun place to visit. Note, Amphawa gets extremely crowded on weekends, so it’s highly advised to arrive as early as possible to get the most out of your Amphawa adventure. Amphawa is open from 8AM to 9PM on Fridays, Saturdays, and Sundays. Interestingly, although the Damonen Saduak Floating Market is far away from Bangkok’s center, it remains the number one floating market for tourists. Indeed, most of the people buying food, souvenirs, and other goods at Damonen Saduak nowadays are exclusively tourists. What makes this market so popular? Well, Damonen Saduak’s popularity most likely has to do with the lively activity of the colorful boats in this market. 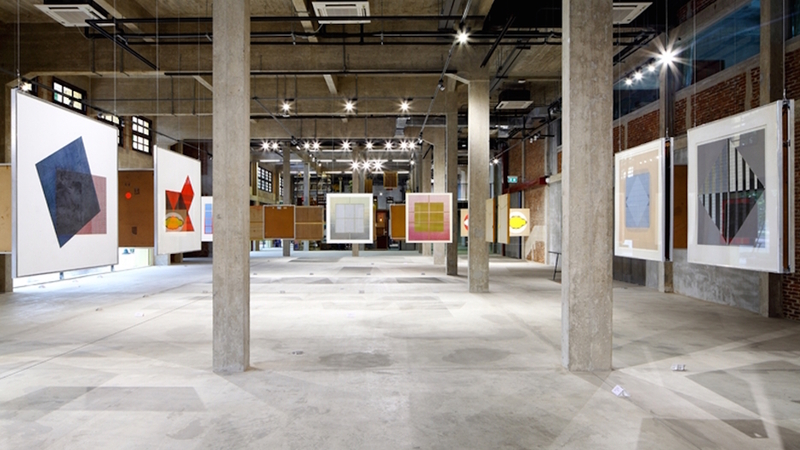 Put simply, Damnoen Saduak offers some of the best photo-ops in the city. People just love all the boats jostling around and the electrifying energy of the area. Since this is a tourist-centered market, please be on the lookout for scammers and don’t forget to use common sense. Damnoen Saduak Floating Market opens and closes early: 6AM to 12PM on the weekends. For a historic floating market experience, be sure to put Bang Phli on the top of your travel itinerary. Situated in the Samut Prakan Province, this floating market is one of the oldest in the city with a history stretching back at least 150 years. It’s a fascinating experience walking through the old wooden houses along the canals to take a peek at local vendors wares. There are plenty of local delicacies here, but be prepared to face some language difficulties since people here only speak Thai. Be sure to visit this market early if you want to see the Buddhist monks collecting alms. 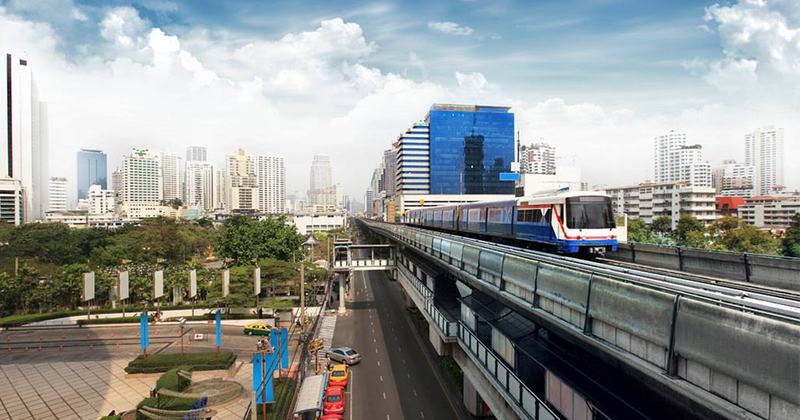 The best way to get here is to take a ride on the Skytrain to BTS Bearing and then take a taxi. 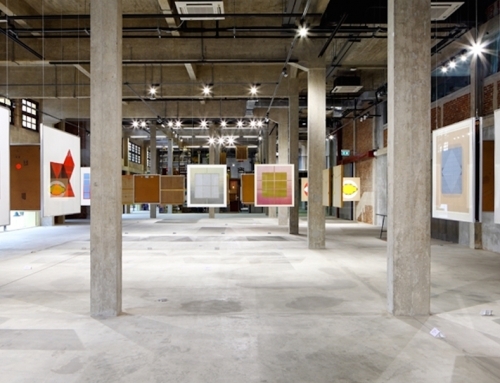 Bang Phli is open from 8AM to 3:30PM on the weekends. Bangkok’s floating markets are legendary for good reason. 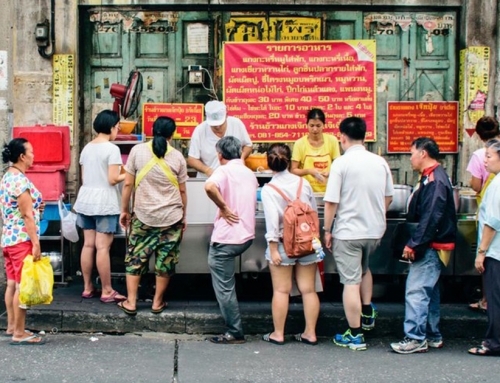 Not only can you find great Thai food for a cheap price here, you’ll also get to feel just like a local as you stop by the local stores and mingle with friendly shop vendors. Consider booking your room at Beat Hotel Bangkok for easy access to all the floating markets listed above.